Not only do we help students revise for their IB exams, we also provide an outlook onto their futures. 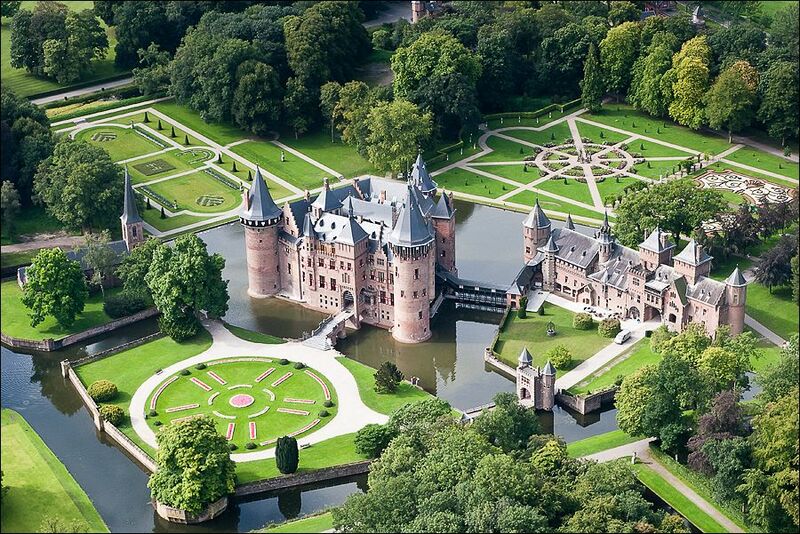 If you are looking to attend university but aren’t sure where to go, we’ve got a suggestion for you: the Netherlands. In a recent article from the BBC, the OECD published the ten highest performing graduates based on criteria such as test results and literacy skills. The Netherlands ranked number three, just after Japan and Finland. Although well-known universities in the United States and the United Kingdom may boast bigger reputations, graduates from the Netherlands are not only generally performing better–they are also getting higher education for a much cheaper price. The Netherlands may be able to boast with a large number of high performing universities and graduates, but why would it be an attractive place for students? When we spoke to students at IB.Academy, many noted two concerns: courses in English and costs. Higher education in English is important for students because it is the most used language in academia. Many universities in the Netherlands offer undergraduate and graduate programmes in English, with subjects such as Global Sustainability Science or Psychology. Prospective students don’t have to worry about the English level in the Netherlands, because the country is the most proficient non-Anglophone country in the world. The cost of university studies are important to consider. Below is a table of tuition fees for full-time undergraduate courses as of 2016/2017, comparing Dutch universities with universities in the UK and North America. Note that these are annual fees and the price range is dependent on the type of programme. A brief comparison will show that Dutch tuition fees are significantly lower than those in the United Kingdom and North America. Furthermore, the costs of living in the Netherlands is generally lower. Living in the centre of a city like Amsterdam, Utrecht or Leiden can be expensive, but one shouldn’t expect to pay more than €1.400 a month for total living costs depending on their situation. It doesn’t compare to studying in a city like London, where students can expect to pay over £20.000 a year. An important cost to consider is the potential student debt. It is becoming a growing problem in the Netherlands following the end of the student financing grant, but nevertheless the numbers aren’t nearly as high as abroad. Although more students are facing increased debt, the national average is about €9.000. The recent spikes in tuition fees in the United Kingdom leaves many with even more debt, with the average said to be close to £44.000. Across the Atlantic in the United States, many graduates face up to $37.000 of debt. In the Netherlands it is possible for foreign students to obtain financial aid if they meet certain criteria. So you’ve read about the standards of universities and the potential costs. What about the country itself? The Netherlands is home to roughly 17 million inhabitants and is located close to Belgium, Germany, France and the United Kingdom. Although the country is famous for its tulips and wooden clogs, it offers a whole range of unique sites, festivals and cuisine. Students won’t ever feel bored and in cities like Utrecht and Delft they will always find young, international people to meet. 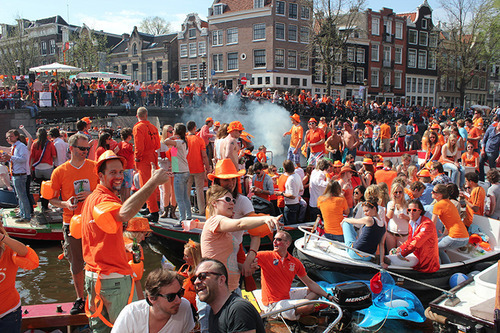 In general, Dutch people are easy-going and very sociable. When the weather is good (unfortunately quite rare!) people enjoy drinking outside cafe terraces, relaxing in the park or taking a boat out on the canal. The Netherlands is home to several big football teams and often hosts sporting events such as the hockey world cup and is occasionally the starting point for the Tour de France. Amsterdam contains some of the world’s most famous museums and is a popular tourist destination. As a small country with great transportation links, it is easy to go around and even stop by neighbouring countries like Germany. Safety is undoubtedly an important concern for many, but the crime rates in the Netherlands are quite low. Students feel safe enough to go out late at night or cycle without worrying about traffic. Convinced yet? We are more than happy help you with any questions about the country, costs of living, application procedures or programme choices. 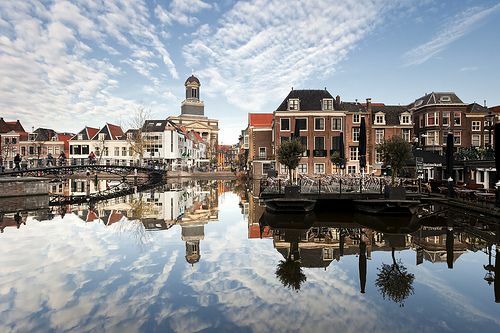 Many of our tutors have studied in the Netherlands and we are well connected with the university offices. Most applications open from September or October for admissions in the following academic year and deadlines are usually in May. Directly contacting universities is a good way of applying, but often times you will be expected to apply via an online application programme called Studielink. *Note: Some universities and programmes have different deadlines and special admissions requirements.